Avoid the hassles associated with selling a used vehicle. 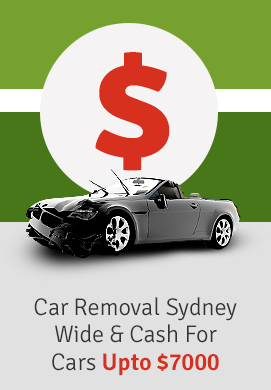 Metro Car Removal is the Used Auto Buyer in town that guarantees you a fair Cash for used cars in Sydney. we offer cash on your unwanted vehicle of any make and condition. An offer up to $7000 for your used auto today. Get a quote by giving us a call. Have a used car that you are ready to upgrade? Maybe a Truck that needs a few repairs? Whatever the type, make and condition of your used vehicle, we’ll put up to $7000 cash in your hand. Metro Car Removal puts cash in your hand for when we come to collect your vehicle and tows it away for free. We are a ‘Car Buyer’ that buys your vehicle at your location anywhere in Sydney. We’ll make you a cash offer that you accept or reject. Accept, and we can be to your location at a time of convenience whether an hour or two from our call or a later date. When our technician arrives, expect a quick inspection of the vehicle, and the cash quickly put in your hand. Our technician will do all the strenuous work of loading the vehicle and be quickly on his way. The process is quick and simple, taking less than an hour from start to finish. Audi, Alfa Romeo, Chrysler, Citroen, Daewoo, Dodge, Daihatsu, Ford, Fiat, Holden, Great Wall, Hummer, Honda, Hyundai, Isuzu, Jeep, Jaguar, Land Rover, Kia, Lexus, Mitsubishi, Mazda, Nissan, Opel, Peugeot, Proton, Saab, Renault, Smart, Skoda, Subaru, Toyota, Suzuki, Volkswagen, and more. Regardless of whether your used car needs some repairs or the vehicle is in perfect running condition, get paid up to $7000 today for your used auto of any make and condition. A licenced and insured Top Car Removal Company that keeps its good reputation with high payouts and ‘speedy Car Removals’. We take the time to consider all factors of a vehicle – not just the current market value, but things that add to the value of a vehicle and then make our customers a quote. Obtaining a quote is done over the phone or through our web page. We are a company that wants to make the transaction one of the smoothest buying experiences. Therefore, we don’t waste time negotiating but make a straightforward offer that vehicle owners accept or reject. We also don’t require that vehicle owners take time from their busy schedule to meet us for a quick inspection of the vehicle and “Free Car Removal”. We schedule 24/7 Car Removals. Metro Car Removal is a Car Removal Company that is a professional Used Car Buyer in Sydney. Get a quick quote today. Accept our quote, and we’ll schedule a 24/7 Car Removal. 2. Complete our “Get a Quote” form at the top right of this page. We only require the make, model, age and condition of your vehicle to make you a fair Cash for Used Cars offer.